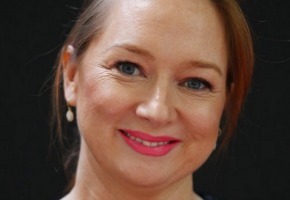 Mandy McElhinney has been revealed as the actress to play Gina Rinehart in Nine’s upcoming miniseries, Gina. Peter Ford leaked the winner to 2DAYFM this morning. McElhinney is well-regarded for her performances in Love Child, Paper Giants and Howzat! but is best known for her “Rhonda” character in AAMI commercials. The two-part miniseries is being produced by Michael Cordell, Claudia Karvan and Paul Bennett from Cordell Jigsaw Zapruder and was announced as airing in 2014. In a two part mini-series, Gina tells the epic and often bizarre tale of the world’s richest woman Gina Rinehart and the Hancock/Rinehart dynasty. In November 1952, Gina’s father Lang Hancock discovered the world’s largest iron ore deposit in WA’s Pilbara Ranges. It was a moment that forged a dynasty, changed the fortunes of an entire nation, and sowed the seeds of tragedy for Gina and her own family. Gina tells the dramatic true story of the rise of the Hancock empire from Lang’s discovery through to the present day. Born into incredible wealth and privilege, young Gina was groomed by her father as his ‘cadet magnate’ and heir. Gina covers the incredible public feud between Gina and Lang’s second wife Rose Lacson; Gina’s struggle to rebuild the company following her father’s death; and Gina’s recent battles with her own children over their multi-billion dollar inheritance. With exclusive inside knowledge of the workings of the Hancock/Rinehart families, this sprawling saga reveals a much-maligned billionaire whose life and wealth fascinates a nation. McElhinney obviously has fans and has won the usual awards, etc, so I guess that’s how they justify her casting. But on the strength of past performances she’s simply not up to leading roles. She was woefully one-note as Nene King, and there wasn’t a hint of subtlety or nuance or subtext in sight. Granted, the script was dire, but a good actress could still have made something of the part. Could also add Melanie Vallejo to the list of those who could play the role of Rose Porteous as she to has Filipino parentage. Puzzled by this project. I could be wrong but who wants to watch a drama about one of the most unpopular people in Australia? Hasn’t C9 learnt anything from the Packer mini-series? This might be a spectacular mis-step for Claudia Karvan. A great chance for some authentic “diversity casting” for the role of Rose Porteous; actress Michelle Vergara Moore (whose parents are Filipino) would be amazing as Rose!!! Love her as ChaiLi in The Time Of Our Lives and I reckon she’d let it rip as the feisty Filipino former maid. I really hope the producers and Channel 9 don’t “white-wash” casting this role – I predict there’ll be a shocking backlash if they do do that. It’s important that Rose is portrayed as authentically and truthfully as possible; I can’t think of any other actresses in Australia besides Michelle with the talent and profile who’s also actually Filipino. I guess with Claudia producing there is a good chance. @tvaddict: Gina Rinehart is a major shareholder in Network Ten, why should Nine have an interest in doing her any favours? Love Mandy McElhinney’s role on Gina Rinehart. That way she has a lot of confidence in the film, Gina. I don’t even understand that comment…. i love Mandy but this is a bad idea. I can’t see how we are going to get an unbiased portrayal of the woman when she is one of the richest people on the planet so no doubt can weild her power to make sure she is portrayed in a favourable light. And its on channel 9, nuff said!